As part of the recent renovation at Tampa’s Julian B. 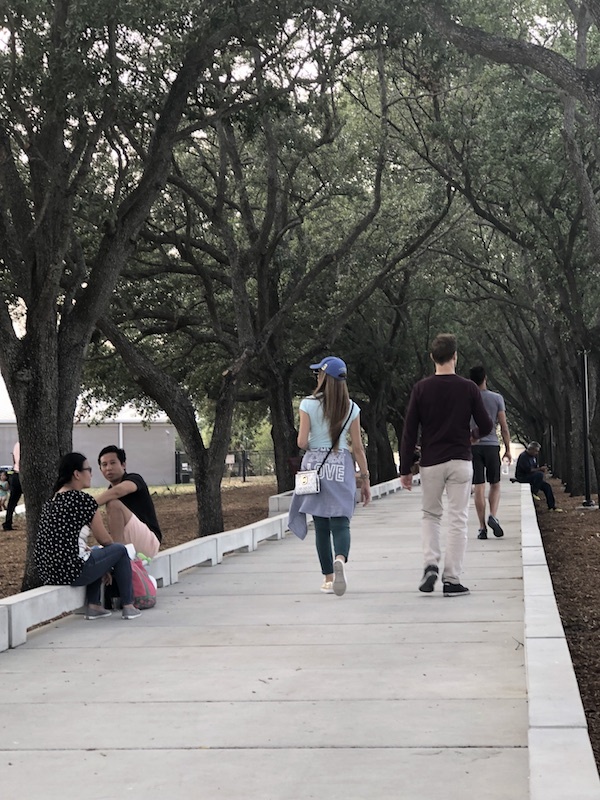 Lane Riverfront Park, PermaTrak has come alongside the city’s designers, engineers and landscape architects to install an elevated concrete walkway, which park-goers can use to enjoy the new sites and amenities. The park’s $35 million renovation marks the most funding the City of Tampa has ever dedicated to a park. The new Julian B. Lane Riverfront Park, opened to the public in May 2018, offers the community new access for kayaks, boating and aquatic sports, as well as tennis, basketball and volleyball courts, a multi-use football field, areas for lacrosse and soccer and a performance pavilion with green spaces for concerts. PermaTrak is pleased to announce that two pedestrian bridges have been installed at Quarry Park, located in Winston-Salem, NC. The park opened in August 2017 and covers 225 acres. A 40-foot PermaTrak bridge connects visitors to a nearby residential area, and across the park, a 50-foot bridge goes through an oak forest. 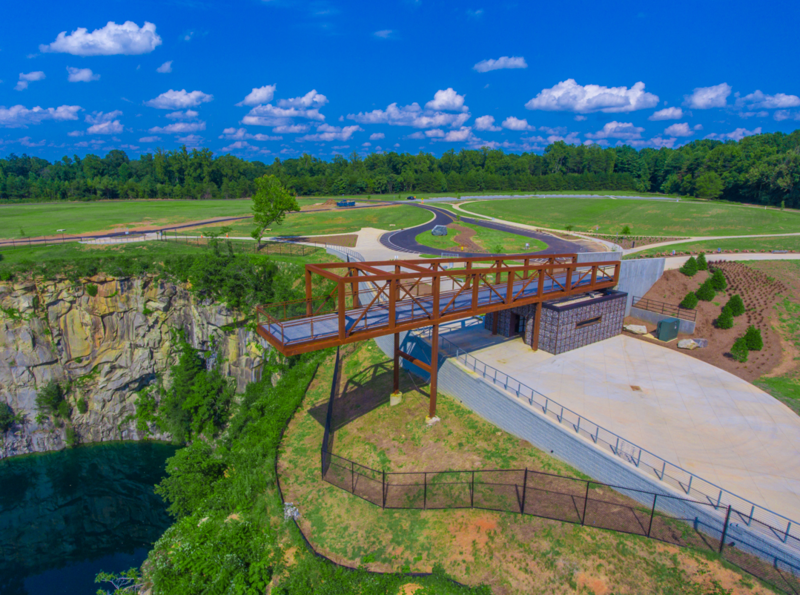 Park visitors can traverse the 1.25-mile Waughtown Connector Greenway, which connects the Quarry Park trail with existing Winston-Salem greenways. PermaTrak is excited to announce that a 13 ft.9 in. wide, 140 ft. long elevated PermaTrak pedestrian bridge sitting above the historic Erie Canal is complete. Linking up with the original Erie Canal Towpath built in the 1820’s, the PermaTrak pedestrian bridge spans a breach in the towpath. It lies just over Wagers Pond, which connect to the Mohawk River - the largest tributary to the Hudson River. Trail enthusiasts can now enjoy the connection between two New York towns - eastern Clifton Park and western Halfmoon (about 20 minutes north of Albany). The list of amenities at the upscale Keowee Key gated community continues to grow in order to accommodate the active lifestyle of the residents. An overhaul of the Leisure Trail in 2016 is one of the most noteworthy upgrades.– replacing the timber Keowee Key boardwalk on the Leisure Trail with a long-lasting 8 ft. wide, 374 ft. long PermaTrak concrete boardwalk. Whitpain Township’s master Trail Network Plan includes five different PermaTrak structures: three varying-sized boardwalks (all 9 ft. wide with 8 ft. of clearance, ranging in length from 24 to 300 linear feet (LF) at roughly 18 in. above grade), and two pedestrian bridges (both 9 ft. wide, one 12 LF and one 24 LF). 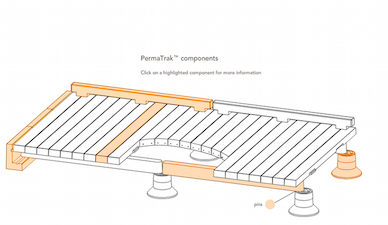 The PermaTrak boardwalks and pedestrian bridges are the first precast concrete boardwalks to be installed in Pennsylvania. Two PermaTrak pedestrian bridges have been installed at the upscale Light Farms master-planned community in northern Texas. The impressive Light Farms community features two oval tributaries (about 300 ft. apart) with one PermaTrak boardwalk bridge to span each water source. 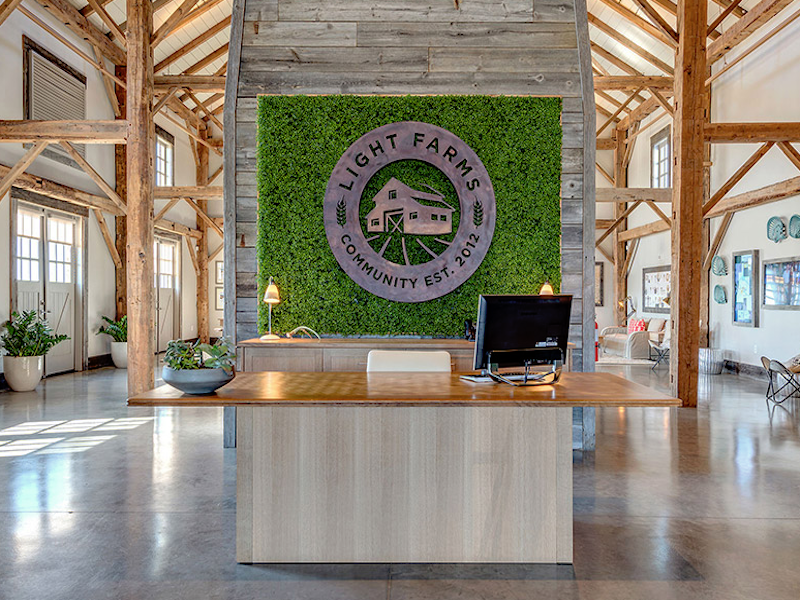 Each of the PermaTrak structures are designed to meet up with an extensive existing trail system that surrounds the tributaries, providing more connectivity for Light Farms dwellers to enjoy their many neighborhood offerings. 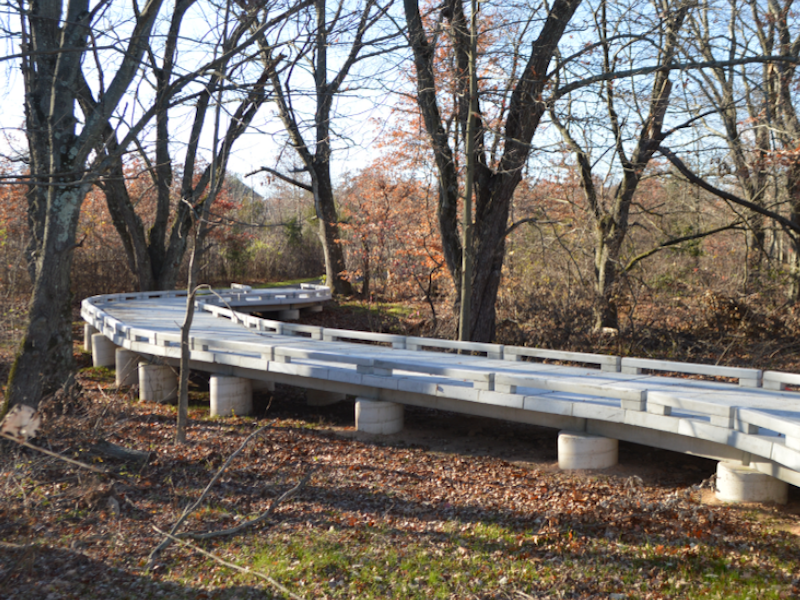 The installed tributary pedestrian bridge stretches 70 linear feet at 9 ft. 3 in. wide, while the second tributary crossing is 20 LF at the same width. Construction is approaching the halfway mark at Josey Lakes Park in Cypress, TX, a new 100-acre park featuring a 3-mile long detention pond recreational waterway. 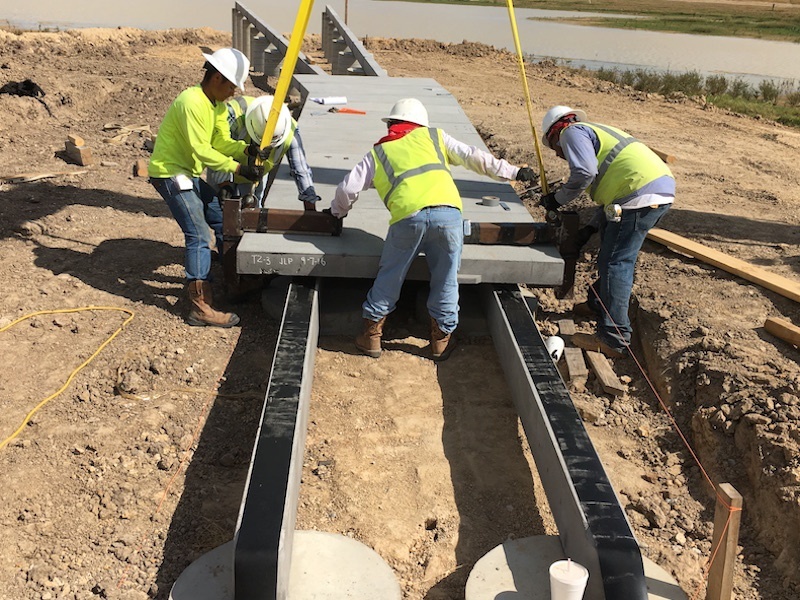 Once completed, PermaTrak concrete boardwalks will meander alongside portions of Josey Lake, linking up with existing trails and allowing visitors access to enjoy the park’s expansive water and wetland areas. 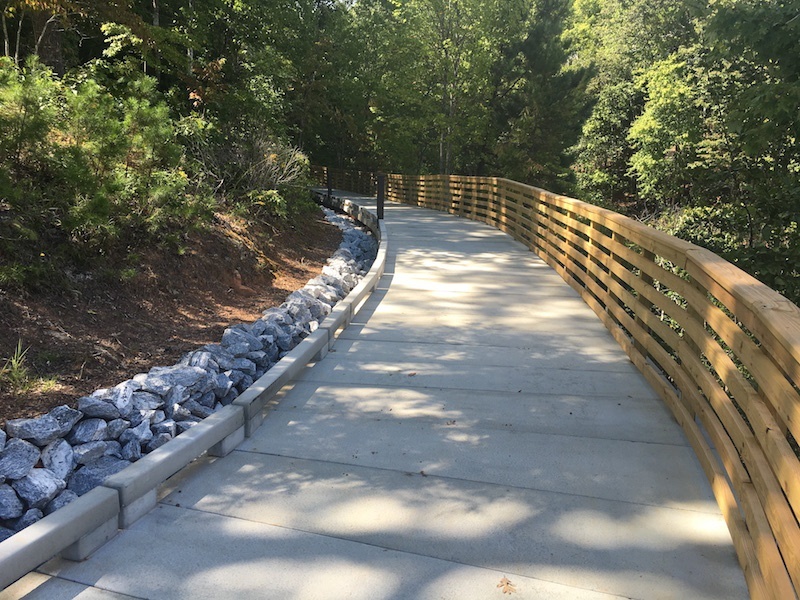 After getting an estimated 20 years out of the timber boardwalk at Pirates Cove Greenway, the Town of Cary, NC decided it was time for a change. While the decking seemed to be in decent shape for public use, the timber railing had deteriorated over time. 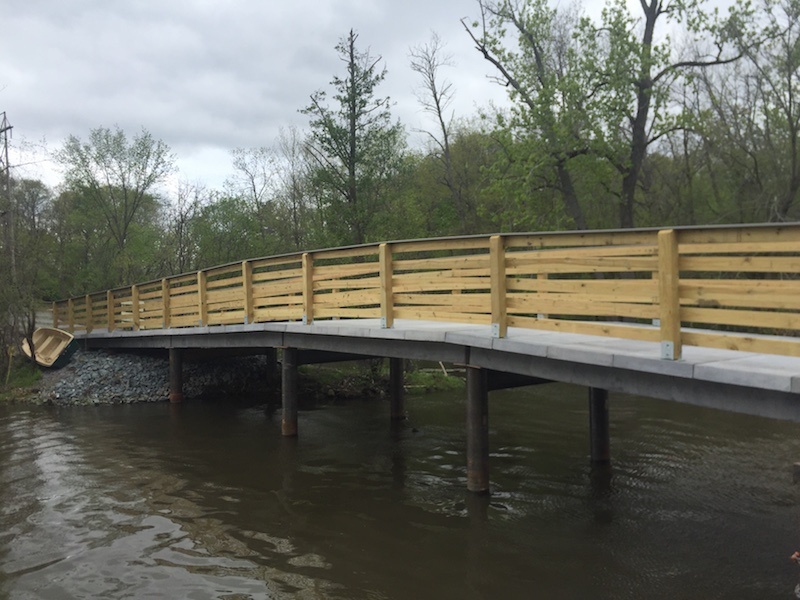 With the boardwalk's worn headers and stringers, as well as a widened stream channel that was impacting the concrete pier foundations, the Town of Cary opted to remove the entire structure and start from scratch. The new PermaTrak boardwalk is positioned further away from the stream channel to avoid an existing sewer line and to account for the stream's movement and expansion over time. PermaTrak boardwalk construction is wrapping up at Fayetteville’s Clabber Creek Trail this week. Two 12 ft. wide PermaTrak boardwalk sections are included in this new ¾ mile long extension of the existing trail.